This year I will also be demonstrating (for the first time!) 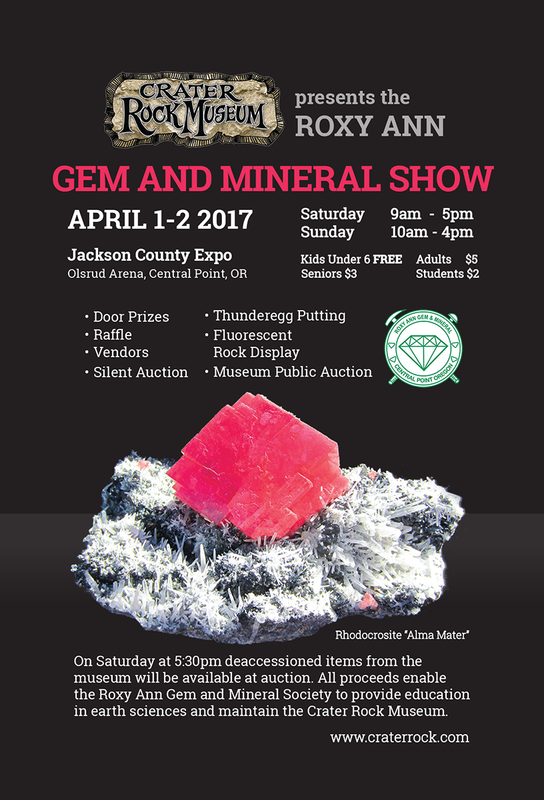 at the Rogue Gem & Geology Club’s 32nd Annual Gem & Mineral Show, at the Josephine County Fairgrounds in Grants Pass, Oregon. 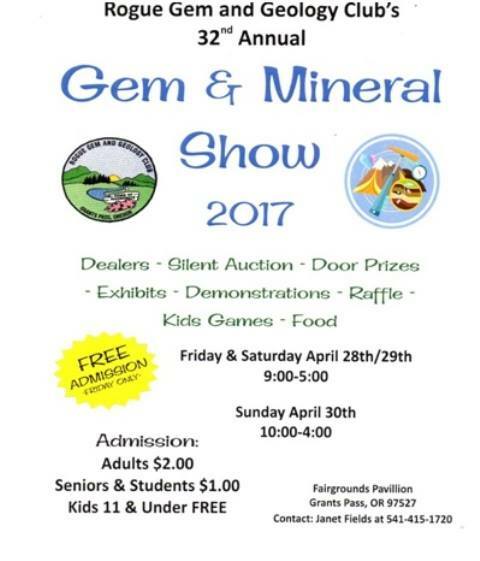 The show runs Friday through Sunday, April 28-30, 2017, and I will be there all three days, doing FREE GEM IDENTIFICATION! Stop by and say hello! For the fourth time (!! ), I will be offering FREE GEMSTONE IDENTIFICATION all weekend as a demonstrator at the Roxy Ann Gem & Mineral Show! 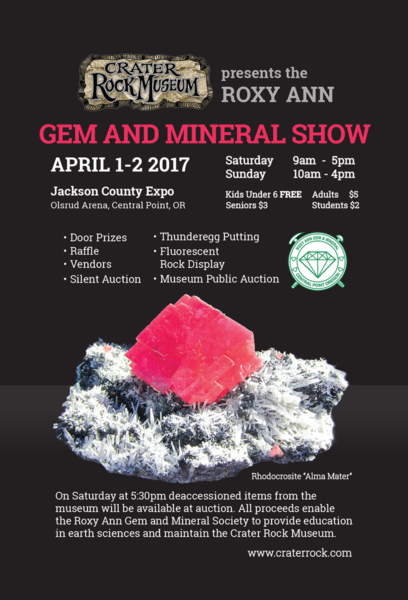 Come out THIS WEEKEND, April 1 & 2, 2017, at the Olsrud Arena @ Jackson County Expo in Central Point, Oregon. Stop by and say hi! » Check out the Facebook event!